You know me- I love a bright lipstick. 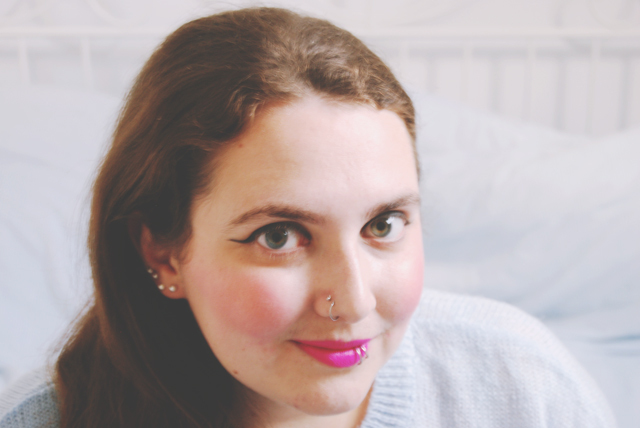 I'm also partial to a bit of pink and MAC are by far my favourite lipstick brand. Put them all together in a cute little lipstick bullet and you have Candy Yum Yum. Let's not pretend that the name wasn't also a huge factor in me buying it! As with all MAC lipsticks, the packaging is sleek, smart and strong. It will put up with knocking about in my handbag for days and weeks at a time. The bullet is well shaped so that it's easy to apply straight away with precision. 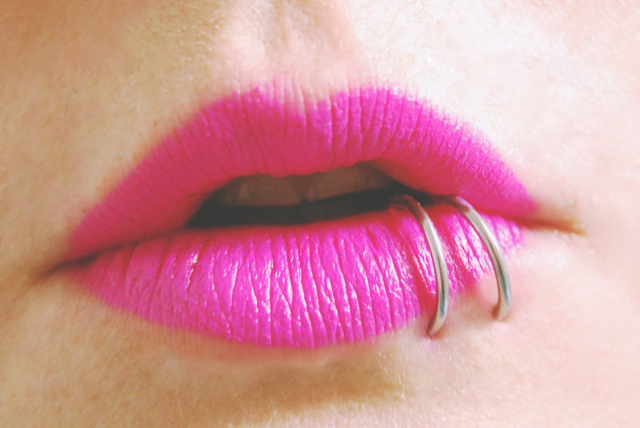 In the tube, Candy Yum Yum is a bright, shocking pink. I can imagine people might be a bit freaked out by how bold it is but for me, the brighter the better! On application, it's a matte finish but not quite as super matte as Ruby Woo. This is a positive as it's not as drying, although it does highlight any flakes or chaps- Definitely use a lip scrub before applying! The colour is as bold as you would expect- an almost neon, Barbie blue-based pink.I absolutely love it! Let's not forget the lovely MAC vanilla scent! It stays in place for hours, even after eating and drinking. It's so worth paying £15 for the durability and pigmentation. I think this might be my new favourite lipstick! Definitely try a MAC one out! They are seriously amazing! That is a beautiful colour on you Becky! It's a gorgeous shade on you! I absolutely love it and totally agree it's such a 'barbie' pink lipstick. It inspired an entire tutorial for me, haha! On a really bad day this can be drying for me, but most of the time it's really good with a bit of lip balm underneath! Love it! gorgeous colour and suits you! I bought this a couple of months ago, it is my absolute favourite and looks great on you!! wow that looks amazing on you! 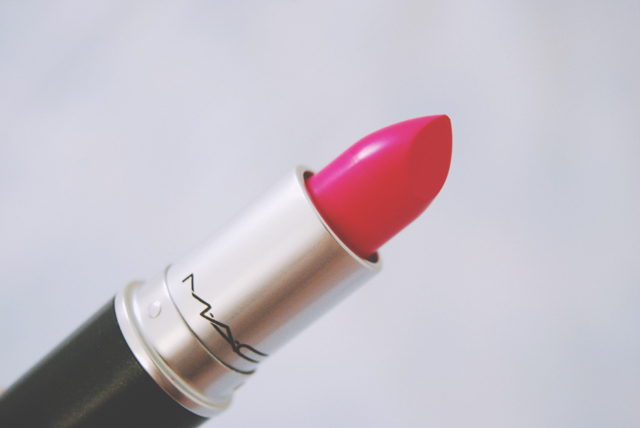 I always love pink lipsticks and this is no exception, such a gorgeous colour! That lipstick is so nice!! I am now following. I am looking forward to keeping up and getting to know you through your posts! Beautiful, I bought this shade a few weeks back and only been brave enough to wear it once.